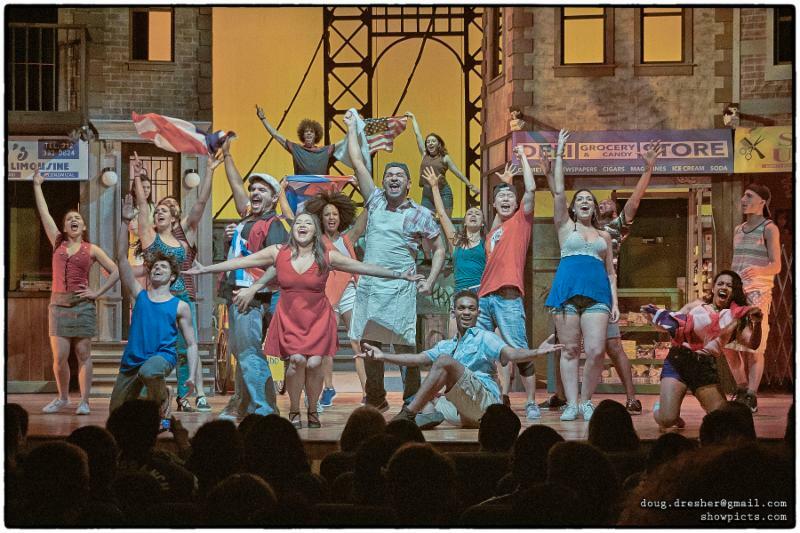 nj arts maven: “IN THE HEIGHTS” EXTENDED DUE TO POPULAR DEMAND! WHEN: SAT. APRIL 1 AT 2 PM and 8 PM! Salgado’s team includes assistant director-choreographer John Alix and associate director Valeria Cossu, musical director Walter “Bobby” McCoy, associate musical director David Maglione, production consultant Heather Hogan, set designer Andrew D’Agostino, lighting designer Robert Rutt, sound designer Gerry Gironda, costume designers Fred Mayo and Debra Thime and properties manager Susan Bloir. In addition to Jonathan Mousset (Usnavi) and Elizabeth Ritacco (Nina), the cast includes: Maité Uzal (Abuela Claudia), Laura Lebron (Vanessa), Jordan J. Adams (Benny), Matthew Oster (Sonny), Shadia Fairuz (Camila Rosario), José Fernando (Kevin Rosario), Tanya DeLeón (Daniela), Danelle Rivera (Carla), Joomin Hwang (Graffiti Pete) and Roberto Araujo (Piragua Guy) and ensemble members Joelle Anderson, Adam Bourque, Aaron Cobos, Miguel Flores, Myriam Gadri, Andre Malcolm, Marcel March, Bryan Ernesto Menjivar, Amaya Perea, Jenna Perez, Nathalia Raigosa and Susan Ramirez.